OurEnergyPolicy.org | Can We Get It Right on Gas? Can We Get It Right on Gas? “A sustained [natural] gas glut could undermine new investments in wind, solar, nuclear and energy efficiency systems – which have zero emissions – and thus keep us addicted to fossil fuels for decades,” Friedman writes. He suggests that such a scenario would reduce natural gas’ societal value because the economic and energy security benefits of domestic natural gas come with significant environmental trade-offs, such as climate impact and hydraulic fracturing. To maximize natural gas’ value to society, Friedman argues for “nationally accepted standards for controlling methane leakage, for controlling water used in fracking — where you get it, how you treat the polluted water that comes out from the fracking process and how you protect aquifers — and for ensuring that communities have the right to say no to drilling.” He goes on to say that a carbon tax, which would raise the price of natural gas, could raise enough revenue to help pay down the national debt, lower income and corporate taxes, and help make renewables cost-competitive with natural gas. What’s required to ‘get it right’ with domestic natural gas development and use? Would a carbon tax increase natural gas’ value? 15 Responses to Can We Get It Right on Gas? I wholeheartedly agree on nationally accepted standards for minimizing environmental impacts of natural gas extraction, but am not fully on board with the argument that natural gas will crowd out renewable development. As opposed to conventional baseload, natural gas plants provide greater flexibility for integrating variable renewables and in that way can be seen as a complementary technology to wind and solar. Plus, natural gas prices will rise as soon as demand catches up and we start exporting the stuff. I think exporting the huge supply build up the US is experiencing is something that can happen now – if it’s already there we might as well use it. And, as before, I agree that it won’t crowd out renewables – I don’t really see that as being the case thus far or being such in the future, either. One of my firs thoughts about natural gas is that there is indeed a “boom mentality”, and a great deal of hype from most places in the world concerning the benefits shale gas will bring. I think it is all too often that we refer to energy in terms of other issues, such as environment or the economy; and now in terms of the economy, there is a desire for quick fixes to long term, systematic problem. 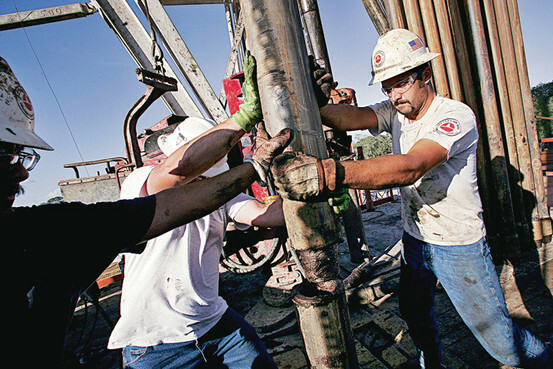 Shale gas, many in the US say, will bring jobs and help our struggling economy restart. Shale gas, many in the Europe say, will help a region on the verge of financial disaster, maintain stability. One of the few countries who aren’t keen on unconventional natural gas in terms of economics is Russia – simply because they have a vast stock of conventional natural gas, and want to maintain their markets in Europe and developing Asia. (They also don’t have the technology and experience the US has in the newer methods of recovering shale gas). I bring up the global perspective yet again because it’s very important to understand the broader implications of shale gas development – and the amount of hope that is put into it. The International Energy Agency’s report, “Golden Rules for a Golden Age of Gas” – is very much a nod to the global benefits of shale gas, given that the best practices are put in place and the downsides are manageable. So again, there are big dreams to be made come true, simply by way of natural gas. I say here openly that I do not take the position of “no more fracking” – I know realistically it is not going to stop. The trump card in terms of all energy discussion is that demand is going to dominate everything; the want for energy is so strong that nothing is going to slow it down, whatever form of energy it is going to be – and the demands is not going to disappear. With all of this in mind, here is what I would advocate for in terms of the US – slow down. Do more research. Find even more ways to deal with wastewater, do more experimenting, see the experiments through. There is no hurry, and there seems little advantage to hastening the development of US unconventional gas. It will be significantly better for the United States and the rest of the world (who will get the technology eventually, one way or another, I’d wager), that better regulations are put in place. The most strict guidelines of transparency and best practices – as per the EIA’s Golden Rules – need to be followed, and if they are, then I have a feeling that would help much of the public relations problems fracking groups have to deal with. A much more open and earnest approach – yes there are problems, here’s how we’re working with them – would be much more appreciated than “greenwashing” (making everything seem find and safe and dandy) hydrofracking. It’s not a smart move by the industry when it does this – (some outlets do this more than others) – because it creates resentment and polarization. The industry should be more openly compliant in terms of the information it discloses – yes intellectual property matters, but so, too, does a real connection with the people you are serving and benefiting (which ought to be Americans – ‘ought to be’). Whether any of this actually happens, it’s another story. But public relations and finesse is only one matter, of course. If the US wants to be smart, as in, do what is actually good for the American people, then there is absolutely no hurry. Continue perfecting shale recovery technology, continue to make regulations matter, and continue to put people first instead of profits – I am not implying here that profits do come first, but this is the perception that needs to be changed. The US should – ideally – become a global leader in safely producing natural gas. That should be the goal. So again, the problem I see is the sense of rush or urgency, especially fueled with the naiveté about economic glory that is now associated with The Shale Gas Boom. The US economy, as well as the global economy, has significant problems that at best an energy boom would be a band-aid for, and at worst will provide a false sense of safety and progress – so I very much encourage distinction between these issues. The US will benefit itself the most by having sound regulations, and being able to export a technology and know-how that is remarkably safe – thereby preserving fragile environmental conditions (especially fresh water and drinkable water), and helping bring clarity to America’s (and the world’s) actual energy situation. We’re going to need more time to develop renewables, and natural gas (in and of itself) has much less CO2 emissions than coal. Combining this with the energy reality of unprecedented, growing levels of energy demand, and we have a situation that compels us to use what resources are available – but with as much wisdom and caution as possible. I don’t begrudge corporate interests for wanting to accelerate growth and secure market dominance – that’s what they are going to do whatever the case. But the US regulatory bodies, state and federal, need to function properly and have teeth — otherwise any efforts at following the Golden Rules will be a sham, and people will see Golden Era Golden Dreams turn into nightmares. The opportunity is very important, but I say it must be viewed within the global context of energy and the realities of our current situation, not short-sighted fixes or desperate attempts at improving economic bottom lines. If we are to combine our high standards of living with an environment we want to live in, we have to make tough choices and proceed with caution. Clinging to convenient perspectives and outdated paradigms are not going to help us deal with the energy challenge – which at its core asks us to consider how we want to move forward in this ever-changing global system we’re interdependent in. The US should make the right choice for its own citizens, and realize that this choice can be the right choice for the rest of the planet. I must take exception to Jesse’s comments on a couple of points. The first is that for all the press shale gas has gotten, it has not been over-hyped. For very basic geological reasons, the magnitude of the shale gas bonanza may still be underestimated, particularly worldwide. At the end of the day – or era, if you will – more natural gas will be have been produced from shale than from conventional sources by some integer multiple. And that volume of recovery is with today’s technology. Secondly, low-priced natural gas is at the same time economically stimulative, counter-inflationary and, to the extent it displaces coal as an energy source, pro-environmental. That is an extraordinary combination, quite unprecedented in our lifetimes. The crash of natural gas prices from about $12.50/million BTUs mid-year 2008 to $2/MMBTU this spring was driven entirely by the gold-rush mentality of upstream oil and gas businessmen. Due to the range of oil-priced recoverable liquids among the different gas-bearing shale formations, there is an economic governor mechanism in place that will keep NG prices relatively low for decades. That is, if we are not so foolish as to allow export of our surplus. We should export the technology instead. That we need to have regulatory bodies adequate to the task of insuring safety and environmental (S&E) protection is axiomatic. But when it comes to hype, the alleged capability of hydraulic fracturing to lead to the end of the world as we know it takes a gold medal. Video of kitchen sinks engulfed in flame makes for good footage, but lousy regulatory policy. So far, there has been no definitive link between polluted fresh water and hydraulic fracturing. Indeed, an in-depth study of fraccing in Pennsylvania by researchers at the University of Buffalo at the behest of Governor Cuomo of New York recommended the development of the shale potential in that state. Leaking wellheads are a concern, primarily among the smaller, marginal operators. Leaks lead to disasters as surely as I-5 leads to Los Angeles. BP’s egregious exception not withstanding, the larger oil companies understand that accidents and environmental damage cost a great deal of money. It is the corner cutting smaller companies that are most willing to ignore S&E safeguards. Regulators should treat multiple offenders with extreme prejudice. We should nurture, not obstruct the development of natural gas and reduce overall carbon emissions thereby. It would be regrettably foolish to allow that boon to retard or destroy the development of renewable energy sources. A carbon tax has long been the preference of economists of all stripes. It is one of the few viable responses to the externalities of energy usage. It is measurable and calls on the market to provide its own regulation. It would increase the economic viability of coal-to-liquids technology. The carbon tax is a far better piece of policy than dragging our feet regarding what may be the best thing our economy has going for it. Perhaps I didn’t state it explicitly, but, in no way do I not see shale gas having a global impact on energy sources and markets. It can, and it likely will, but it’s assuming quite a bit in the process. The hype I’m referring to here has to do with the idea that it will simply be something to ‘plug in’ to our current energy (and economic) situation, and solve everything. Perhaps, but, that’s not at all what I was getting at. I think it’s really the other side of the coin when it comes to what I was getting at – shale gas is not the end of the world, nor is it the savior of the world. Video of kitchen sinks engulfed in flame makes for good footage, but lousy regulatory policy. So far, there has been no definitive link between polluted fresh water and hydraulic fracturing. Indeed, an in-depth study of fracking in Pennsylvania by researchers at the University of Buffalo at the behest of Governor Cuomo of New York recommended the development of the shale potential in that state. Come on, that study is one of the most criticized studies available. I’m not sure why you would reference that here. That’s been torn apart here in New York. Timothy Considine, another Penn State grad who’s now an economist at the University of Wyoming, was the lead author on a SUNY-Buffalo report in May that claimed state regulation had made fracking safe in Pennsylvania. Within days, a top Pennsylvania environmental official quoted the Buffalo study in testimony to Congress about the effectiveness of fracking regulations. But both the official and the study itself declined to mention that Considine’s close ties to the industry—and that his department had received nearly $6 million in donations from the oil and gas industry last year. Considine—whom one Pennsylvania newspaper called “the shale gas industry’s go-to professor”—also helped write the controversial 2009 Penn State study and a 2010 expansion of it that was funded by the American Petroleum Institute. If you want to further talk pro-gas hype, check out the “Premier of Truthland“, the anti-Gasland film, which is absolutely ridiculous in my opinion. Premiered, of course, in Buffalo. The ‘academic reports’ concerning shale gas are supremely difficult to wade through. But, at the very least, a hint is to pay attention with who funds them, and where their career interests lie. Unfortunately, the difference between Gasland and Truthland, or the UBuffalo study and other anti-fracking studies, appears to be minimal. We should nurture, not obstruct the development of natural gas and reduce overall carbon emissions thereby. It would be regrettably foolish to allow that boon to retard or destroy the development of renewable energy sources. Sure. I’m not a person who believes that the development of shale gas will actually be problematic for renewables. I think renewables is going to mostly depend on people’s interests in becoming engineers, and wanting public support for them to develop, which is on some account a bit of an independent variable in this case. (Not entirely, but, I think more so than people often say). Or another way of saying it – if people don’t understand how important renewables are now, then it really doesn’t matter what happens with shale gas or tight oil. My position is that if shale gas development is the best thing the American economy has going for it, then America is in a bad way. Shale gas is not going to save America, nor the global economic system, and it’s very idealistic to think that it will. Can it affect it? You bet. Will it be a corrective measure for decades of policy mishaps, planning failures, and other such problems? No. It’s like giving someone with money problems a big inheritance. Sure, it will last for a while, and life will be better. But it doesn’t mean that person becomes better at managing money, or is necessitated to learn how to actually compete in a global marketplace, for that matter. I don’t think that the US become more of a petrol-state would be good for it’s current political situation, anyway, but that’s perhaps another story. Will shale gas help the economy? Yes. Will it help energy security? Yes. Will it get closer to the “energy independence” fantasy? Yes. Will it potentially benefit many countries economies around the world? Yes. Will it lead to significant change in the global economy or how countries deal with finances? Highly, highly unlikely. It’s an opportunity to pass the buck and rely on new revenues. Don’t get me wrong, the world en mass could use some good news. But just because a something ‘potentially really good’ is happening, doesn’t mean the challenging part about the economy, or the energy challenge, is ‘solved’. That is the hype I’m against. As to the reality and long term significance of the current shale gas boom, I feel that the jury is still out. Yes, there’s a whole lot of gas-bearing shale down there, and yes, horizontal drilling combined with fracking have made it feasible to extract gas from some fraction of it. But what fraction? And at what cost? The mobility of gas through the micropores of shale is really really low. The rush of gas that flows in the first weeks after fracking comes from first millimeter of rock behind the newly created fracture surface. But the total volume of shale that is close enough to a fracture surface for gas to escape is pretty small. At least, that’s the picture I get from what I’ve read of the process. The result is that initial production from a newly fracked well declines rather quickly (in weeks or months) to a fraction of its initial value. Some flow continues, but it is limited by the rate at which gas is able to diffuse through the tight shale. It may be that if a whole lot of wells can be kept producing at low flow rates for a long time, a significant portion of the trapped gas can eventually be produced. But I’m pretty sure that the cost will be several times higher than the current unnaturally low price that gas is fetching. It seems that producers are currently selling gas below cost and planning to “make it up on volume”. Something like that may actually be possible, if they are getting revenue from investors bedazzled by huge reserve estimates. But how long can it continue? As to the environmental hazards from fracking, it may be that there is a technical fix for that. I understand that there’s a growing trend to use pressurized propane instead of water as a fracking fluid. It’s all recovered as part of the produced gas after the fracking is complete, and it doesn’t require disposal in the way that water-based fracking fluid does. There’s still the problem of gas leaking into ground water supplies via improperly cased wells, but that problem will presumably become less as crews become more experienced and better trained. Or so the professionals assure us. I was thinking of both speeches last night and their similar, basic message. Good fences sometimes don’t make good neighbors. Freedom and choice are basic human instincts and part of our genetic composition as human beings. Living in forced or intellectual silos, separated by fear and/or physical, ideological and emotional boundaries, is a recipe for unnecessary political, economic, social and environmental friction. Is it far-fetched to link the two important speeches by two vastly different presidents to the current dialogue, or lack thereof, between some environmental groups and some supporters of open fuel markets and flex fuels? I don’t think so. I am a democrat (small d). I do believe in the wisdom of honest dialogue and consensus building concerning key public policy issues affecting the quality of life in the U.S. and the education, job, health, recreation, housing choices open to its citizens–all its citizens. In this context, paraphrasing Kennedy, I would say ich bin ein “environmentalist and natural gas advocate” and paraphrasing Reagan, I would add, let us tear down the walls that impede some in both groups from talking and working together on reducing unnecessary restrictions concerning transportation fuels, improving the nation’s environment and reducing GHG emissions. Drawing on my experience as facilitator of the successful Aspen Global Forums (meetings of leaders of the U.S. and other nations to define tangible strategies to solve complex policy issues), I would ask both groups to take off their institutional hats and related mindsets for at least a short while and look at the data and analysis. For example, according to the Energy Information Administration, carbon dioxide emissions were 2.4 percent lower in 2011 than they were in in 2010. They were also 9.1 percent less than in 2007. Modern combined-cycle natural gas generation results in the more efficient production of electricity. This fact has contributed to fewer heated trapping emissions. Indeed, to a large degree, the decline in carbon is tied to fuel switching. Further, natural gas has fewer pollutants than coal does. Regrettably, most analysts compare the effect of natural gas on the environment and GHG emissions, only to coal. Very few studies compare natural gas use as a transportation fuel to oil or its derivative gasoline. Oil is dirty and, when used to fuel cars and trucks, is much less friendly to the environment than natural gas and methanol. Natural gas emits far less GHG emissions. Methanol is slightly better than gasoline regarding GHG emissions but much better regarding most environmental objectives than gasoline, if new techniques to capture carbon are used, methanol’s GHG performance would be significantly better than gasoline. I suspect most natural gas and environmental leaders around my still hypothetical ”win-win or getting to yes” table would agree that natural gas and methanol are better for the environment and, if used as transportation fuels, would result in fewer GHG emissions than oil and gasoline. If we could get this far and also agree that the enemy of the good is often the perfect, we should be able to move on to discuss and resolve fracking issues. Based on a review of relevant literature and conversations with experts, I am convinced that fracking and related water disposal problems can be responded to by reasonable regulatory and technical approaches. Indeed, in past blogs, I have quoted respected environmentalists and natural gas spokespersons who agreed that sound regulatory and technical options can be developed to resolve the negative effects of fracking. EPA’s recent regulations were applauded by both environmentalists and natural gas advocates as a good start. A serious sustained reduction of GHG emissions and an improved environment is within the nation’s grasp, if consensus can be reached between environmentalists and natural gas advocates to jointly advocate open fuel markets and standards, increase use of flex fuels, and expand production of flex fuel automobiles. Natural gas and methanol are transition fuels. Their use as transportation fuels, now, while we, as a nation, work on making electric cars competitive, and search for other competitive renewable transportation fuels, will generate a better economy and a healthier country. I have seen tougher problems resolved through dialogue and consensus building. We are not doing the best we know how to do for our nation and its citizens, if we don’t try to find common ground. Borrowing the words of the late Ambassador Abba Eban, said in another context, we will not escape missing an opportunity to miss an opportunity! A comment absolutely exemplary in it’s cogency, Marshall. It’s clear that your status as elder statesman is well deserved. Most particularly your noting our society’s repeatedly allowing the ideal to become the enemy of the good. At the end of the day, both the issues of the migration of fluids to freshwater sands and the leaking of hydrocarbons from wellheads come down to the quality of the engineering: build a good well, tested and verified in its performance in these and other regards, and there will be no problems. Good regulation is an enormously important issue. It is an absolute necessity to any expectation of the continuing employment of good petroleum engineering. Some regulatory bodies do it well, others not. The North Dakota Industrial Commission’s Department of Mineral Resources, Oil and Gas Division, in addition to having one of the longest, most bureaucratic names extant, appears to do it well. The following URL – https://www.dmr.nd.gov/oilgas/presentations/presentations.asp – leads to presentations regarding hydraulic fracturing activities in the Bakken Oil Shale. A presentation by that group at an energy conference at Bismarck State College earlier this year demonstrates their mastery of the subject. This summer’s extreme drought in the Midwest has since added to water concerns, a technical issue that can be overcome. Shale gas offers a unique opportunity to take action that both reduces our carbon footprint and increases our energy security. Methanol and higher carbon number alcohols offer the promise of doing more than just displacing coal in power generation. Much headway can be made by them in displacing crude oil products as transportation fuels. Perhaps I should make explicit the fact that I’m not a shill for the energy industry. In fact, I’ve argued on this website against allowing the export of liquified natural gas. However, I do know that hydraulic fracturing, which has been around since the 1950s, can be and has been done correctly. It is an industrial process which, like hundreds of other industrial processes, has the potential to cause a great deal of damage when done on the cheap. Union Carbide exterminating a neighborhood in Bhopal, India in 1984 comes to mind in this regard. We should focus our efforts on insuring that it is done correctly and to standards that protect both the environment and the safety of all involved, not on obstructionism. We should stop indicting the process and start indicting those companies that do it badly. A technical issue that can be overcome? I wonder how you propose to overcome what appears to be a minor, technical issue. thank you joel . I really do believe that if we got people on both sides of the issue re. natural gas and the environment in one room and maybe took away the key for an intense few days we could find a response to the fracking problem ….if both groups came to the table equally committed to finding something that worked for the environment, the economy , ghg reduction, and the consumer. I used to faciltitate something called the Aspen Global forum between leaders of different nations and the U.S. It really worked when groundrules were agreed to in advance. thanks again of your nice remarks..I will even accept the adjective senior..
How do you actually proposed to indict the bad companies – by what manner of regulation or enforcement? I’m on a bit of a quest to find regulatory practices that work, or, don’t cave in. I will look more at North Dakota, but leave it an open question in general. You should also check the Michigan Dept. of Environmental Quality (DEQ). The Antrim Shale development in the northern part of the main body of the state has been ongoing for over 20 years. Because it’s a state full of conservationists with very porous and permeable surface strata that spread pollution easily, the MI DEQ is fairly tough on the O&G industry. They are also on record as saying 12,000+ hydraulic fracturing jobs have been done in the state with no problems to date (that’s 2 a day, leaving out holidays and hunting season – don’t go into the MI woods during the latter). Fixing regulatory policy and practice is THE issue in energy. We are well served in your pursuing it. BP’s Macondo blowout was due almost as much to regulatory failure on the part of the MMS as it was to BP’s murderous culture of accepting very high safety and environmental risk to save money (only almost). The other side of the coin was seen in EPA Administrator Lisa Jackson’s imposition of fines on refiners for not meeting cellulosic ethanol standards with nonexistent cellulosic ethanol. The first instance was deadly permissive, the latter intentionally punishing. Both are utterly dysfunctional. Some states do a good job of the regulation of energy operations. It may simply be that it’s so much closer to home. OTOH, there’s always Louisiana. As to your question re indictment, a sliding scale of punishment for serious infractions up to an including a permanent trip to the penalty box would be a good start. If that’s not enough, let’s start putting their senior managers on trial and in jail.